Brico AQUADROP is a thin-walled black polyethylene hose with a blue stripe on top, with internally welded flat drippers manufactured by pre-ordered and constant spacing. Brico AQUADROP is suitable for drip irrigation on small and medium-sized installation, garden plants, hedges, balconies, terraces, etc. The inlet filters inside the dripper and the large labyrinth reduce the risk of clogging, due to water impurities. 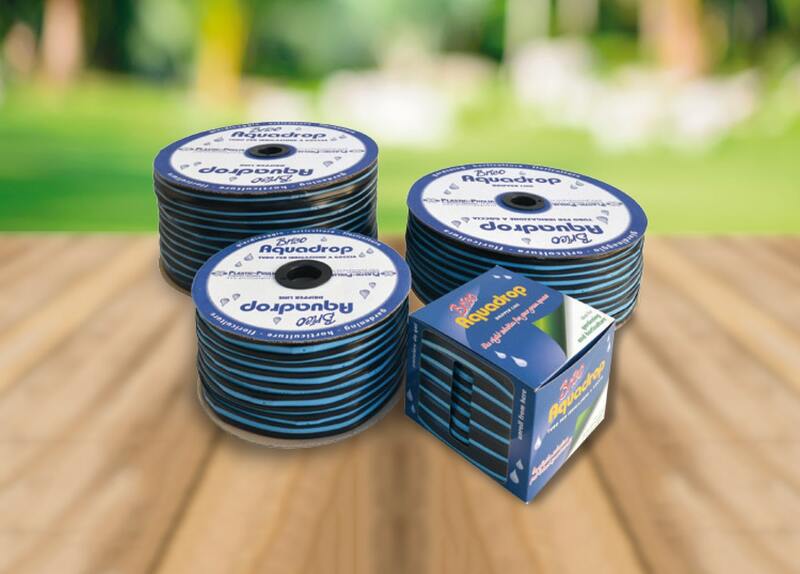 The reduced thickness of the hose and the characteristics of the packaging, make this product versatile and practical one, especially for the making of DIY drip irrigation installation.